The Weight Activated Locking Knee (WALK) and Single Axis Friction Knee (SAFK) are compact, durable options for patients requiring extra stability and performance. Independent friction and mechanical stance-control adjustments make it easy to fine-tune the knee. Adding the SFx to the WALK or SAFK provides adjustable stance flexion and greater heel-strike stability. The SFx increases balance during initial weight loading and adds a moderate amount of shock absorption for a smoother gait. Weighing just 241g with a build height of 3.34 in., the SFx comes in three adjustable load levels for optimized function. 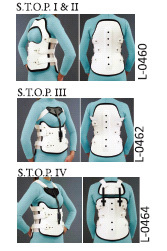 PEL Supply now offers the Orthomerica ready-to-fit prefabricated TLSO stockspinal orthoses. Braces are finished and ready to fit and can be kept in stock for same day, late night, or weekend fittings. Designed to fit 75 percent of the adult patient population, the bi-valve TLSO is offered with or without an ATE (Anterior Thoracic Extension). Anterior and posterior shells are interchangeable in same size. Available in twelve sizes-six male, six female (XS-XXL)-in neutral or pendulous-abdomen fronts in 0-degree or 15-degree lordosis. Now through March 31, 2010, SPS has extended a special price reduction of $100 on the purchase of all Flex-Foot® Talux feet. Additionally, during this limited-time offer, you will receive a free foot cover for the Talux at the time of purchase, together a $204 value! The unique tarsal core and Achilles Strap of the Talux provide multiaxial function, while the latter enhances forward motion. This perfect mix of balance and agility is applicable for users who have low-to-moderate activity levels. Mention the promotional code NYP0109 when placing your order. Take a Step in the Right Direction! E-MAG Active Stance-Control KAFO. Easy to fit for practitioners and even easier for patients to use, this integrated, low-profile joint provides the best in electronic stance control and helps your patients get into a more active lifestyle. The E-MAG Active calibrates itself to capture the user's unique gait pattern with the help of the simple onboard programming. This unique feature adds a whole new dimension of functionality for people who previously have had limited bracing options, such as a locked knee brace or manual device. Help your patients get back into the swing of things with the E-MAG Active! Orthofeet is adding new models to its collection of Two-Way Strap shoes, combining chic design with a stretchy fit and exceptional comfort. Innovative Two-Way Strap System that allows fastening on both sides of the shoe as well as an easy adjustment of the strap's length. 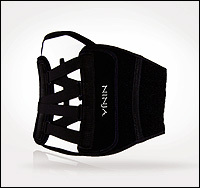 Padded strap that protects the foot from pressure points. Lightweight cushioning sole with Ergonomic Stride™design helps propel the foot forward. SPS has immediate availability of the new Silhouette VS prosthetic foot which provides shock absorption and multiaxial ground compliance to ease progression onto otherwise unforgiving surfaces. For more than 20 years, Orthomerica Products Inc. has been offering effective, non-operative and post-operative treatment solutions for lower-extremity fractures and range-of-motion restric-tion. 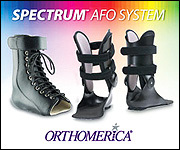 And today, Orthomerica introduces the Orlando® KAFO/HKAFO Lower-ExtremityFracture Bracing System. It is modular, lightweight, and can be ordered and stocked as components, making them immediately available, or custom assembled to your measurements. Orthotists choose from a wide selection of femoral and tibial components, hip joints, knee joints, and shoe inserts to meet individual patient needs. 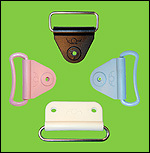 XTX is easy to mold and comes in four rigidities and three colors. 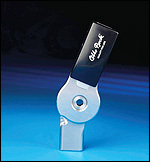 It's produced using high-strength carbon and glass fibers in a tough, unique polypropylene matrix. XTX allows for deep contour molding using conventional equipment. It molds deep heel cups and directional rigidity for greater foot support and control. XTX is very lightweight, thin, durable, and is high performance, yet economical. Thermoplastic composite materials represent the most versatile orthotics material today. We give you more options and more convenience since all of our products are in stock and ready to ship! See our full page ad in this issue. 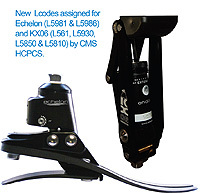 L-5981: All lower extremity prostheses, Flex-walk system or equal. 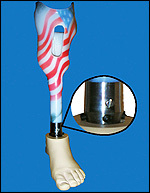 L-5968: Addition to lower limb prosthesis multiaxial ankle with swing phase active dorsiflexion feature. Similarly, the price of the KX06 Polycentric Swing and Stance Knee has been reduced by 30% and is now recommended to be billed using codes L-5611, L-5930, L-5850, and L-5810. Endolite Introduces the EliteVT Foot No Compromise? No Problem! 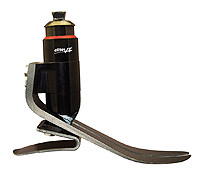 Fully designed and developed for the EndoFlex system by Ortho Remedy, this new, lightweight tube clamp adapter allows for attachment to the latest pyramid foot technology. With superior strength and manufactured to our exact specifications, this clamp keeps the EndoFlex system evolving at the forefront of prosthetic technology. Clean-No more messy plaster casting and dressing. Fast-Orthotics are produced in minutes, not days. Easy-New users become proficient in under a day. Precise-Repeat prescriptions identical to the original. Profitable-Speed, ease of use, repeatability, and reduction of storage space all add up to a rapid return on investment. Dycor's DR feet are lightweight and resilient because they rely on deflection of the varying-thickness leaf springs imbedded in the upper keel member, rather than compression of rubber bumpers. The DR feet are ground compliant because they incorporate uni, bi-, or tri-axial ankle articulation with low- or medium-profile options. Weight, including titanium pyramid and foot shell, is 312g (11 oz.). Pediatric AFO casting socks are now available from the STS Company. Four different sizes cover a broader range of anatomy and ages. The fast-setting, water-curable resins are impregnated into the casting socks, setting in approximately two minutes. The impressions are as accurate as plaster of Paris and can be easily removed with small scissors. The casts are ideal for CAD/CAM. No cast-room clean up is required, which saves practitioners a lot of time. If central fabrication is chosen, the casts can be shipped immediately with little chance of damage. A cast cutter is not required nor recommended, making the removal process much easier. An ideal choice for children requiring custom AFOs.